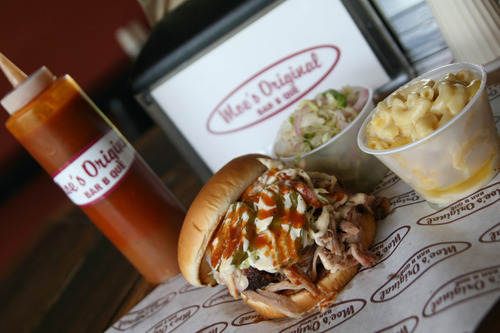 Moe's Original Bar B Que features award-winning Bama-style pulled pork, ribs, wings, turkey and chicken smoked over hardwood served with two unique sauces in addition to Catfish and a Shrimp Moe-Boy sandwich. Additionally, eight to ten traditional Southern sides and tasty desserts are served fresh daily from recipes passed down for generations. Large party takeout orders and full service catering with delivery are also available.